He was born on Monday, 12th Rabi Al Awwal, April 22nd, 571 AC. He died in Madina before Muhammad (p.b.u.h.) was born. 35. In the New Testament by what name was the Prophet (p.b.u.h.) mentioned? 38. How did Quraish arrange rebuilding of Kabah? 39. Who laid the stones? 40. Where did the Prophet (p.b.u.h.) go into seclusion? 41. What was the fist stage of the revelation? 42. When did the first revelation come down to him? 44. Who were the first to embrace Islam? 45. Who accepted Islam at the instance of Abu Bakr (May Allah be pleased with him)? 46. Who were the ladies to accept Islam at first? 47. How was the Dawah done in the beginning? 48. How many people embraced Islam in the early stage? 49. How many years did the call in secret continue? 50. During this period, where would the Muslims gather secretly? 51. When did the Prophet (p.b.u.h.) start to preach Islam openly? 52. What was the impact of his public preaching? 53. What was the main miracle of the Prophet (p.b.u.h.)? 54. Did the Prophet (p.b.u.h.) perform other miracles? 55. Who was Hamza bin Abdul Muttalib? 56. Name some of the disbelievers of Makkah who supported the Prophet (p.b.u.h. ), but did not embrace Islam until the end. 57. How long did Abu Talib protect the Prophet (p.b.u.h)? 58. Who was Mutim Ibn Adi? 59. When did he (Mutim Ibn Adi) give protection to the Prophet (p.b.u.h.)? 60. When did he (Mutim Ibn Adi) die? 61. Who was Abul Bukhtari? 62. How did he (Abul Bukhtari) support the Prophet Muhammad (p.b.u.h.)? 63. What lead the Muslims to emigrate to Abyssinia? 64. Which Surah lead to this emigration? 65. When was Abul Bukhtari killed? 66. Who was then the King of Abyssinia? 67. When did the first group of Muslims leave for Abyssinia? 68. How many persons were there in the group? 69. How were the emigrants received in Abyssinia? 70. When did the second group of emigrants leave for Abyssinia? 71. How many people formed the group? 72. Name a prominent companion included in this group. 73. What did Quraish do? 74. How did the King respond? 75. When did Umar (May Allah be pleased with him) accept Islam? 76. Who was Bilal Ibn Rabah (May Allah be pleased with him)? 77. What was his (Bilal Ibn Rabah's) origin? 78. What was the name of Bilal's mother? 79. Who was Yaser (May Allah be pleased with him)? 80. Who was Sumayyah (May Allah be pleased with her)? 81. Who was Ammar (May Allah be pleased with him)? 82. How did Summaya (May Allah be pleased) die? 83. Who was Zaid Ibn Haritha (May Allah be pleased with him)? 84. Who purchased him (Zaid Ibn Haritha)? 85. What did Khadijah do with Zaid Bin Haritha? 86. Did Zaid Bin Haritha want to go to his parents? 87. To whom was Zaid Bin Haritha married? 89. Where did he (Ja'far) emigrate? 90. Who was Ali (May Allah be pleased with him)? 91. When did Ali (May Allah be pleased with him) accept Islam? 92. 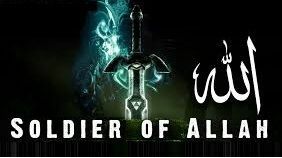 What was he (Ali) called for his bravery? 93. Whom did Ali first marry? 94. How many sons did Ali have from her? 95. When did Sa'd bn Abi Waqqas (May Allah be pleased with him) become a Muslim? 96. Where did Sa'd (May Allah be pleased with him) die? 97. What was Sa'd's advice to Muslims? 98. Who was Abu Bakr's father (May Allah be pleased with him) and did he accept Islam?